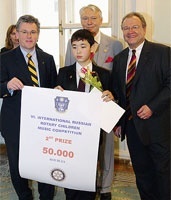 The International Russian Rotary Children Music Competition has been a remarkable event for young musicians in Russia for six years. 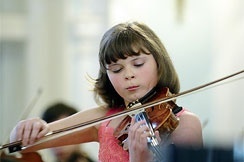 According to Josef Marous, chief representative of ThyssenKrupp AG in Russia and chairman of the organizing committee, it is extremely important for Russian and foreign companies to support young, talented musicians and make musical education more prestigious. That is how the idea of a competition emerged several years ago. The prizes are grants presented by sponsors who sit on the jury along with eminent musicians. 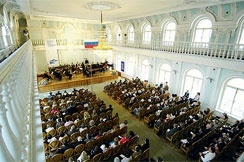 This year, the finals were held on March 16 at the State Tchaikovsky Conservatory’s Rachmaninoff Hall. When it came to selecting the winner, the jury, which included conservatory faculty members E. Grach, K. Knorre, and D. Miller, were faced with some difficult decisions. 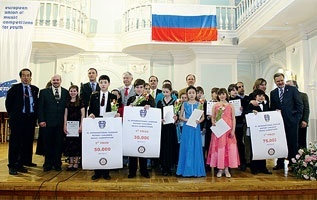 The piano laureates were Martin Garcia with first prize, Ruslan Shainazarov with second, and Dmitry Tyurin with third. For more invormation, go to rcmcmoscow.wordpress.com.